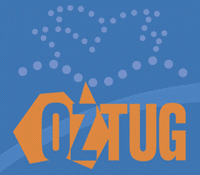 Greg Swedosh will be presenting at the OZTUG SIG on 18th May 2017 at 11AM (Australian Eastern Standard Time). The topic is PCI DSS 3.2 and the HPE NonStop. This online presentation will discuss the changes that have been introduced to PCI DSS as of version 3.2 and specifically how these relate to the HPE NonStop environment. With the advent of PCI DSS version 3.2 there are a number of significant changes that affect the HPE NonStop environment. This session will provide details of what organisations need to do to satisfy these new requirements. While being PCI DSS compliance is important, as recent high profile data breaches have shown us, it is not the same thing as being secure. With this in mind, this session will focus not just on being PCI DSS compliant, but also on making sure that your systems are secure. To attend online Click here to register.